Wind down your weekend with soothing Hatha flows led by Kate. This series will help you prepare for the week ahead and beat the Sunday scaries! Tap into your most resilient self with stress-reducing flows so you head into your week refreshed and ready. Join us on Sundays in April and May at 4pm for this flowing beginner/intermediate practice. Women throughout history have gathered in circles to empower each other and share wisdom. These affirming community gatherings help women get in touch with their feminine strength and turn up their positive vibration. There is a powerful healing effect for the group and the world. This effect ripples out and other people in the community are touched. Hearing stories from other women fosters empathy and helps us feel less alone. By slowing down and being mindful, each woman will feel like her voice is heard. Join us at Mountain Harmony Yoga on the 4th Friday of each month at 6pm. All ages are welcome. We will have a vegetarian potluck followed by a group circle and discussion. Come as you are, leave encouraged. Join Kate for this strengthening series designed to support those who sit for work. Learn more about healthy posture while building muscle strength to promote healthy alignment and muscular balance. All levels welcome, though some flows may be more intense. 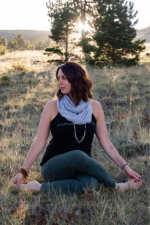 Join Sierra for her first yoga series as a certified yoga teacher at Mountain Harmony Yoga! 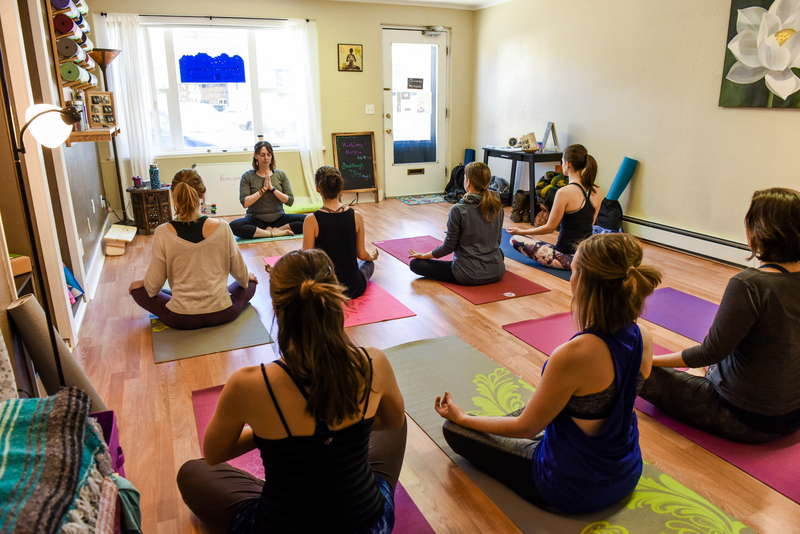 Enjoy a slow paced Yin style evening yoga class, focusing on the lengthening and strengthening the connective tissues of the body. Sierra will gently lead you through the yoga poses, sequenced to relax the physical body and spirit. This class will be paired with Mantra practice meant to center and protect the mind. Join us for this special series.